Independence Day is next week and Chattanooga and the surrounding areas have plenty of opportunities for some great fireworks viewing, not only on July 4th, but leading up to the big day as well. If you are like me, you love fireworks and there is no such thing as too many. Here is your guide for 2018 July 4th fireworks. 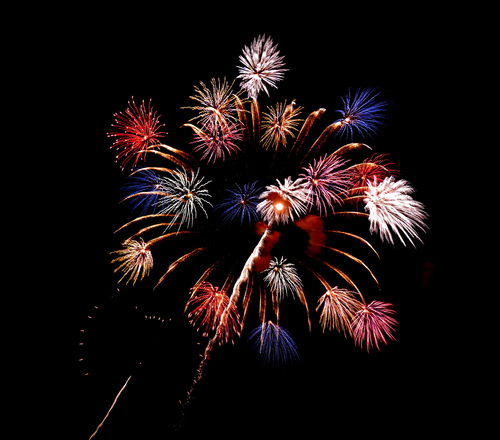 Lake Winnpesaukah will have their fireworks display on Monday from 10-10:30 pm. Admission to the park can be purchased at the gate or online. Make a big day of it and ride roller coasters, check out the splash park and end the day with a bang. Literally. Coolidge Park has been home to the Pops on the River celebration for as long as I can remember. The Chattanooga Symphony will play a selection of American patriotic tunes followed by fireworks on the river. Food and concessions are available and picnics are welcome as well. Symphony at 8, fireworks at 9:45. Free to attend. The Chattanooga Lookouts will have their fireworks extravaganza after the game against the Birmingham Barons. Tickets can be purchased at the gate. Game starts at 7:15 with fireworks around 9:45. Lake Winnpesaukah will have their fireworks display again on Wednesday from 10-10:30 pm. Have a happy, safe and fun Independence Day! Happy Birthday, America!